Dr. Eldor Brish is a physician based in Austin, Texas who specializes in Pain Medicine, and Anesthesiology. He has lived in Austin for the majority of his life and graduated second in his class from Westlake High School. 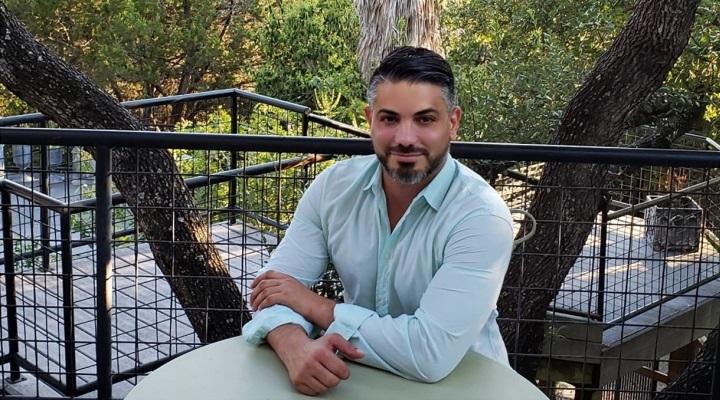 Before attending medical school, Dr. Eldor Brish attended undergraduate studies at the University of Texas System in Austin, where he majored in zoology and graduated with a 4.0 GPA. Dr. Brish received his medical degree from John Hopkins University School of Medicine in 2005 and had been practicing medicine for over 13 years. Eldor completed his internship at the New York Hospital followed by a residency in Anesthesiology at Baylor College of Medicine in Houston followed by an Interventional Pain Medicine Fellowship at MD Anderson Cancer Center also in Houston. He has worked in many clinics throughout Texas, including Houston, Tyler, and South Texas before returning home to Austin. Since then, Dr. Brish has transitioned from direct clinical care into the ever-growing field of healthcare consulting. When Dr. Eldor Brish is not working, he enjoys spending time with his two young sons and practicing CrossFit as well as jogging. He also enjoys reading a variety of books as well as finding ways to stay fit, healthy, and teaching others on how to live their healthiest life. I was seeking my mother’s love. All joking aside – at is a good question. For me, the decision to become a doctor didn’t come in the sense of an epiphany, thinking, “oh today, I think I am going to become a doctor.” It was more related to the results of different experiences I had, while in high school and college. While I was attending college, I wasn’t sure what path I was going to take, so I ended up volunteering a lot in different hospital settings. I also shadowed an attorney for a while and did work with an investment banker, to find out what was the right fit for myself. I realized at that moment that I genuinely enjoyed medicine and helping people achieve better health so decided to become a doctor. You said you specialized in interventional pain management? Yes, pain management is a relatively new specialty, and I find it fascinating. The interesting thing to me about pain medicine is the notion that there are several modalities which can achieve similar results. Specifically, treating chronic pain may include things such as physical therapy and lifestyle modifications including weight loss, medication management and treatments such as tens therapy. When these more conservative treatments fail we have the option of using minimally invasive interventions such as injection therapy to more advanced modalities such as surgery or spinal cord stimulation. My routine begins typically at 5:00 to 5:30 AM when I wake up to take a quick three to four-mile jog or head to the gym to lift weights. Then, I come home and change so I can get ready for work; I usually get there around 8:00 AM and stay until about 5:00 PM. Once I get home and truly what motivates me throughout the day is spending time with my family including my two boys. You’ve said that you’re transitioning into consultancy. Tell me a little bit about that. Yes – I have transitioned into healthcare consulting and physician advisor roles. This is not considered direct clinical care, and as I have mentioned before with healthcare continually evolving the advisor and consulting role has become more and more paramount. Both large established companies, as well as newer healthcare startups, are in need of physicians with clinical experience to help them decide which technologies would be needed in different care settings or improvements on current medical techniques that are already being used. Then, of course, there is the financial aspect of utilizing these technologies in different fields of medicine. What is attracting you about this transition? What do you love about the new aspect of your job? What would you consider to be the most significant accomplishment in your career? I would have to say some of my best accomplishments in my career have been helping each and every one of my patients improve the quality of their health and lives. That brings a smile to my face and it makes my day knowing that I can see all of these improvements. Tell our readers about some of your volunteer activities. Currently, I am volunteering my expertise for some healthcare startups. I’ve always been active in various community organizations and volunteer not just in the healthcare community. I usually get home from work between 5:00 PM and 6:00 PM and I put my focus on my children and other things that I enjoy doing. I am always looking for opportunities to try new things, spend time with the ones I care about, and to focus on any projects that I have started. By doing things that way has helped me a lot and has worked out wonderfully not just for myself but also for my family. What were some of the moments that had made you feel most proud when it came to your profession? I am quite proud of my publications specifically in pain management, Including articles on injection therapy and most recently on spinal cord stimulation for cancer-related pain. I’ve also authored several articles related to phantom limb pain which is applicable to patients who have lost a limb due to disease or trauma.